Clinic Synopsis: It is our belief that ensemble experiences are paramount to the development of young people. It is also our obligation, especially in the public school arena, to advocate a curriculum that not only produces performers, but composers, producers, amateurs, and advocates a-like. We must examine, question, and perhaps change the current paradigm of how we teach, what we perform, and how we evaluate large ensembles to create more holistic musicians. Clinician Biographical Information Dr. David Kehler serves as Director of Bands and Professor of Music at Kennesaw State University. In 2012, the KSU Wind Ensemble was a featured ensemble at the 2012 and 2016 Southern Division CBDNA Conferences, and was the winner of the 2013 American Prize for best university Wind Ensemble performance in the United States. Previously, Dr. Kehler served as Associate Conductor The Dallas Wind Symphony and served as Founder and Conductor of the GDYO Wind Symphony, an ensemble affiliated with the Greater Dallas Youth Orchestras, Inc. Previous appointments were at Southern Methodist University, the University of Rhode Island, and Bay City Western High School, in Bay City, Michigan. Dr. Kehler received his Bachelor of Music and Master of Music degrees from Michigan State University and Doctor of Musical Arts degree from The University of Texas at Austin. David Kehler is an active conductor and clinician throughout the United States and is a member of NAfME, CBDNA, GMEA, Phi Beta Mu and others. 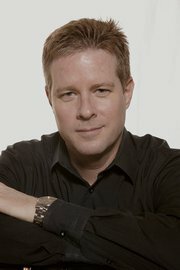 Second Clinician Biographical Information Michael Alexander is the new Director of the School of Music at the University of Northern Colorado. From 2004-2015 he served as Director of Orchestras at Kennesaw State University and Music Director of the Georgia Symphony Orchestra. He was also the Interim Director of the School of Music at KSU from 2013-2015. At Kennesaw State University and under his direction the KSU Orchestra has performed at the 2009 GMEA Annual In-Service, hosted and performed at the 2010 College Orchestra Directors Association National Conference, and completed a three concert tour of Beijing and Xian, China in January of 2011. Under his leadership, the Georgia Symphony has presented critically acclaimed performances and has seen enormous growth. During his eleven year tenure with the GSO, the group added to its core of professional musicians, removed its debt, expanded its budget, and created a comprehensive youth orchestra and chorus program with approximately 400 students from across the region.